Dubai, 31 May 2014: The Nestlé Healthy Kids Program – Ajyal Salima has become the first from the Middle East to join the EPODE International Network (EIN), which encompasses over 36 programs in 24 countries working to tackle childhood obesity by promoting partnership among various entities including companies, governments, and NGOs. 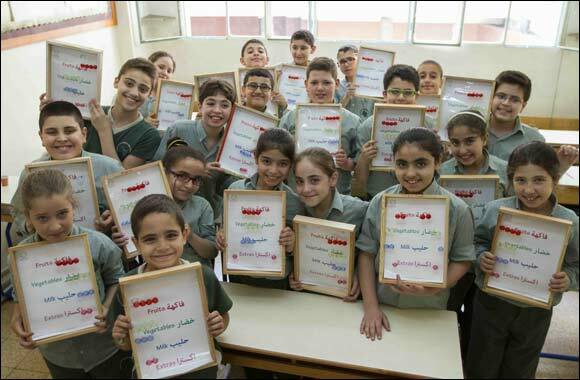 This year’s CSR Summit reaffirmed that children’s nutrition and health is a vital issue for people in the Middle East, with 91% of respondents during an attendees polling session saying they are concerned about the matter. Eighty two percent of respondents also said partnership between governments, schools, parents, the private sector and NGOs is needed to educated children about nutrition and health. First launched in 2010 by the American University of Beirut (AUB) and Nestlé with the support of the Lebanese Ministry of Education and Higher Education, a recent study commemorating three years of Ajyal Salima’s implementation in Lebanon found nine-eleven year-olds eat vegetables twice more frequently and their general nutrition awareness increases significantly following interventions by the Program. One of the company’s key CSV initiatives, the Nestlé Healthy Kids Global Program was launched globally in 2009 and runs in partnership with governments, academia, and NGOs in over 68 countries around the world reaching to date more than six million kids. The regional Ajyal Salima curriculum is rolling out progressively in the Middle East, with Saudi Arabia scheduled as its next destination.